Movers & Shakers will be holding their monthly corporate networking event from 6:30 p.m. – 9:00 p.m. on Thursday, April 25 at Spasso, located at the Grand Hyatt Erawan in Bangkok. Admission price is THB 400 for all ladies and VIP voucher-members or THB 750 for everyone else. Entrance includes a free-flow of beer & wine plus a mouthwatering range of delicious finger snacks (while stocks last). Dress code is casual elegant or business attire. For more information, go to www.facebook.com/Moversshakerscharity. Café G at Holiday Inn Pattaya. Holiday Inn Pattaya invites you to a Songkran buffet dinner at Café G, the hotel’s all day dining restaurant located on level 4. Serving an array of international buffet dinner, selections include fresh BBQ seafood, fresh fruits and salads, available 13 – 14 April from 6 p.m. to 10 p.m. at THB 1,290 net per person inclusive of soft drinks. All kids under 12 years old eat free. To make a reservation please call 038 725 555. 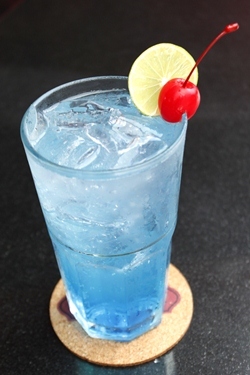 Benihana restaurant offers a delicious Songkran family set menu on Saturday 13th April. Interact with the chefs, famous for their entertaining and culinary skills as they prepare Teppanyaki and other mouthwatering dishes at your table. Private rooms are also available. Price 4,599 baht net per 4 people. Benihana is located on the 2nd floor of the Royal Garden Plaza. For more information or to make a reservation, call 038 412 120 ext.1395. The open kitchen concept at Edge restaurant, Hilton Hotel Pattaya, creates an interactive dining experience combined with natural light and breathtaking views. Lunch – Monday to Thursday, noon until 2:30pm: THB 420 net per person; ‘A kind of Sunday Brunch’ – noon until 3:30pm: THB 1,200 net per person; Sunday Brunch wine buffet: THB 800 net per person; International dinner buffet – 6:00pm until 10:00pm: THB 850 net per person; Friday Seafood buffet and Saturday Classics & Confectioneries – noon until 2:30pm; THB 480 net per person; Friday Seafood dinner buffet – 6:00pm until 10:00pm: THB 980 net per person; Friday evening wine buffet – 6:00pm until 10:00pm: THB 800 net per person. 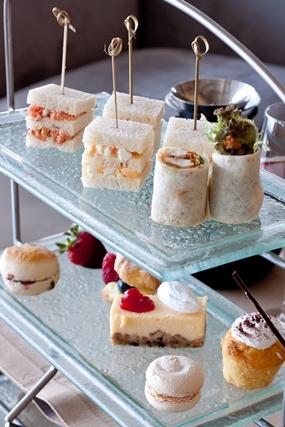 Edge restaurant is located on the 14th floor of the Hilton Hotel Pattaya. For bookings, please dial +66 (0)38 253 000 or email pattaya.sales @hilton.com. Chill out to the DJ’s beats as you sip on signature cocktails at the Horizon lounge and take in stunning views of Pattaya Bay. Located on the 34th floor rooftop of the Hilton Hotel Pattaya, Horizon lets you party with friends and sample the delicious cuisine in one of the three flexible private dining rooms. Bar opens from 5:00pm until 1:00am / restaurant from 6:00pm until 11:30pm. Entertainment includes eclectic Latin house beats from DJs – 7:00pm until 1:00am; Movies from 7:00pm until 1:00am; Trumpet & Conga tunes (Friday and Saturday) – 9:00pm until 1:00am. The new ‘Sunset Session’ promotion offers guests an array of signature cocktails and “best sellers”, including Yello, Sea Breeze, Mojito, Cosmopolitan, Bloody Mary, Singapore Sling and beers on a one-for-one basis. The promotion is available daily from 5 pm to 7 pm at Horizon. For more information or reservations please call +66 (0)38 253 000 or email: [email protected] hilton.com. 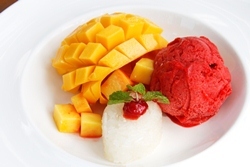 Throughout this summer, Holiday Inn Pattaya introduces the world famous Thai dessert “Mango Sticky Rice” which comes with a scoop of ice cream. Beat the summer heat at THB 190 net at the Flow Café, lobby floor, Holiday Inn Pattaya. 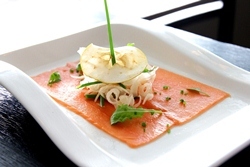 For more information please call 038 725 555 or visit www.dining-experience.com/pattaya. 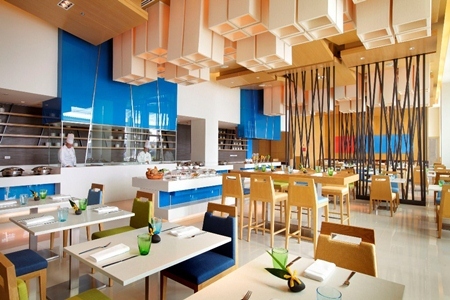 Dynamic, stylish & seriously cool at fabulous Sunday Brunch @ Mantra Restaurant and Bar, Pattaya. Experience the hottest brunch concept in Pattaya. It’s the perfect timing, from 11:00 hrs to 15:00 hrs, for a seriously cool culinary journey, an innovative & stylish approach to Sunday brunch 1,690+ per person. With a dazzling array of chic delicacies, this stylish and sophisticated brunch offers a fabulous selection of foods from around the world, oysters, cold cuts, prime roasts, chocolate fountain and more. Upgrade your brunch to include a wine buffet for an additional 1,150+ per person. For reservations and more info call 038 429 591 or email @mantra-pattaya.com or visit www.mantra-pattaya.com. Happy hours have turned on at the Pullman Pattaya Hotel G. The Beach Bar offers the longest Happy Hour in town, from 6 pm – 9 pm, with 50% off the drinks menu prices. Enjoy a stunning sunset with your favorite drink in hand. Surprises are in store every Friday so don’t miss out! For more information or reservations, contact 038 411 940-8 or email [email protected] com. The next Pattaya City Expats Club (PCEC) meeting will be on Sunday, April 14. Everyone is warmly welcome. The speaker will be PCEC member David Garmaise with another of his entertaining video presentations – “Hollywood Moments” with his usual insights and behind the scenes stories. The Club meets every Sunday morning at the Tavern by the Sea restaurant located on the north end of Beach Road (part of the Amari Orchid Resort). The program starts as usual at 10:30 a.m. with a buffet breakfast available from 9 to 11 a.m. The Pattaya International Ladies Club (PILC) organizes regular lunches and coffee mornings on the first and third Tuesday of every month. There is also a newcomer’s coffee meeting at Casa Pascal on Second Road on the last Monday of every month. No reservation necessary and the coffee begins at 10:30. For more information email [email protected] gmail.com, or go to the website at www.pilc-pattaya.com.